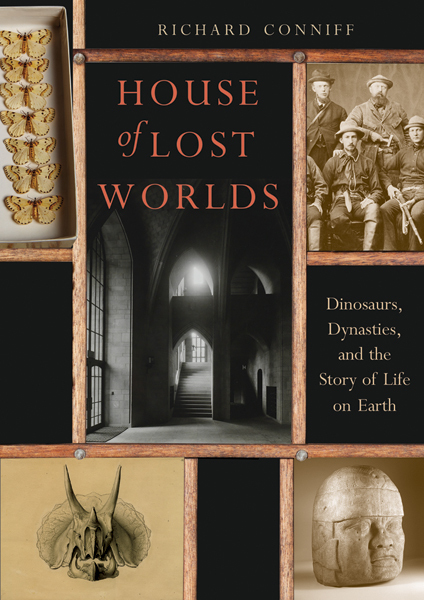 This fascinating book tells the story of how one museum changed ideas about dinosaurs, dynasties, and even the story of life on earth. The Yale Peabody Museum of Natural History, now celebrating its 150th anniversary, has remade the way we see the world. Delving into the museum’s storied and colorful past, award-winning author Richard Conniff introduces a cast of bold explorers, roughneck bone hunters, and visionary scientists. Some became famous for wresting Brontosaurus, Triceratops, and other dinosaurs from the earth, others pioneered the introduction of science education in North America, and still others rediscovered the long-buried glory of Machu Picchu. In this lively tale of events, achievements, and scandals from throughout the museum’s history. Readers will encounter renowned paleontologist O. C. Marsh who engaged in ferocious combat with his “Bone Wars” rival Edward Drinker Cope, as well as dozens of other intriguing characters. Nearly 100 color images portray important figures in the Peabody’s history and special objects from the museum’s 13-million-item collections. For anyone with an interest in exploring, understanding, and protecting the natural world, this book will deliver abundant delights. Richard Conniff is a prize-winning science writer and journalist and the author of nine books including The Species Seekers: Heroes, Fools, and the Mad Pursuit of Life on Earth. He lives in Old Lyme, CT.